Mount Pleasant in Harare is where you will find the British Embassy in Zimbabwe next to the Mt Pleasant Business Center.. We have listed the contact details for the British embassy in Zimbabwe. 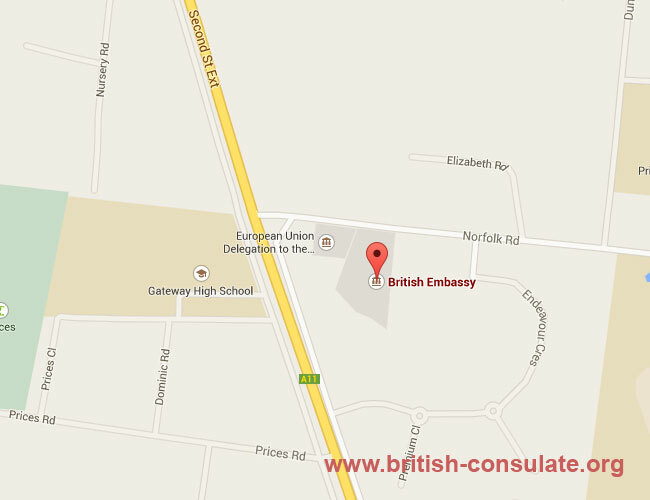 we have listed the contact details as well as a map to the British Embassy in Zimbabwe. If you need to renew your British passport or are looking at applying for a UK spouse visa or a UK fiancee visa you can call or email the embassy for assistance. We have listed the details for each British visa. The British embassy in Zimbabwe will also other consulate services as a British national such as registering a birth, death or if you have been arrested in Zimbabwe. The details are listed below.